This beautiful film has been a finalist at 4 international film festivals. 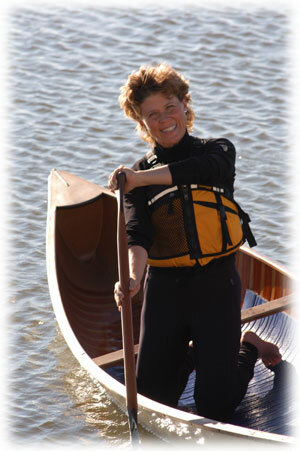 It showcases the elegant, dancelike canoeing skills of 5 times National Champion Karen Knight. A “ballerina on the water”, Karen performs a solo and tandem routine (with Bob Foote). This beautiful film has been a finalist at 4 international film festivals. It showcases the elegant, dancelike canoeing skills of 5 times National Champion Karen Knight. A “ballerina on the water”, Karen performs one of her stunning solo freestyle routines with grace and precision. Her partner, Bob Foote (recently named one of paddlesports 100 heros) joins her for a beautiful tandem performance.